Burak Bilgili was born in Akşehir. After graduating from the Conservatory at Mimar Sinan University in 2000, he studied at San Francisco Opera’s Merola Opera Program and graduated from the Academy of Vocal Arts in Phiadelphia in 2004. 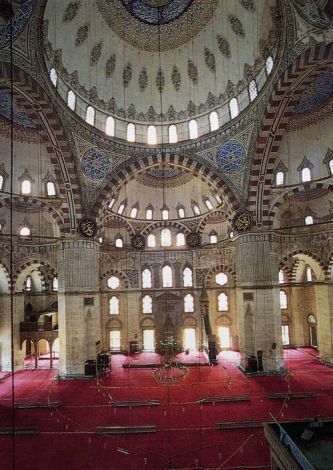 In 2003, he became Turkey’s first ever representative at the BBC Cardiff Singer of the World. He then went to Italy to pursue his study with Bonaldo Giaotti and Katia Ricciarelli at the Accademia Lirica Internazionale “Katia Ricciarelli” in Parma. 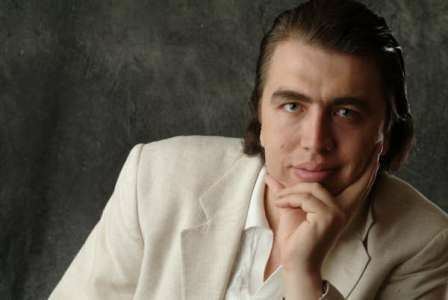 Bilgili debuted first time with the role of Don Geronio in Rossini’s “Il turco in Italia” with the Turkish State Opera in Istanbul in 1998. In the following year, he sung with the company as Abimelech in Camille Saint-Saëns’ “Samson and Delilah.” While he was a student at the Academy of Vocal Arts, Bilgili made his international debut as Duke Alfonso in Donizetti’s “Lucrezia Borgia” at La Scala (2002), followed by a series of other house debuts before he graduated. These included his US debut at the Baltimore Opera as Sparafucile in Verdi′s “Rigoletto” (2002); appearances at both the Vancouver Opera and Pittsburgh Opera as Don Basilio in Rossini′s “The Barber of Seville” (2003); and performances as Raimondo in Donizetti′s “Lucia di Lammermoor” both at the Palm Beach Opera and the Teatro dell′Opera di Roma (2003). Bilgili made his Metropolitan Opera debut in 2004, when he sang Leporello without either a "full-stage” or “orchestra rehearsal" in the final performance of Don Giovanni that season. When he took his solo bow at the end of the performance, the audience roared in appreciation. 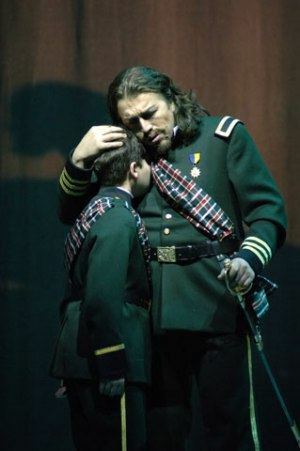 He returned to the company in 2009 as Ferrando in “Il trovatore”. Between 2005 and 2006, he added several new roles to his repertoire including Timur in “Turandot” at the Gran Teatre del Liceu in Barcelona and New York City Opera (2005); Mefistopheles in “Faust” for Virginia Opera (2005); Banquo in “Macbeth”, first sung with the Canadian Opera Company (2005), followed by performances of the role at Vancouver Opera and Seattle Opera (2006); and Escamillo in “Carmen” at Den Norske Opera in Oslo and the Savonlinna Opera Festival (2006). In 2007 - 2008, Bilgili performed Padre Guardiano in “La forza del destino” at the Maggio Musicale Fiorentino (2007); Ramfis in “Aida” with Cincinnati Opera (2007); Nourabad in “The Pearl Fishers” for Florida Grand Opera (2008); and Giorgio in “I puritani” at the Teatro Massimo di Palermo (2008). He opened the 2007-2008 season as the Four Villains in “Les Contes d’Hoffmann” for the Virginia Opera, followed by his debut at the Maggio Musicale Fiorentino with Zubin Mehta as Padre Guardiano in “La forza del destino”, Don Basilio with Michigan Opera Theater and the Canadian Opera Company, Nourabad in “Les Pêcheurs de Perles” for Florida Grand Opera, and completed the season in Daniel Catán’s “Florencia en el Amazonas”. 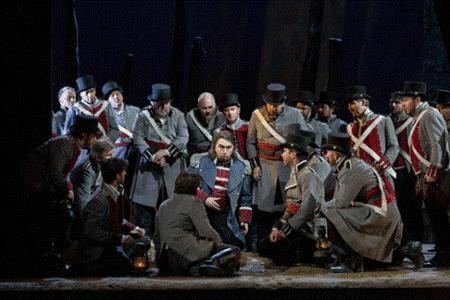 In the 2008-2009 season, he returned to the Metropolitan Opera as Ferrando in “Il Trovatore” and made his Grand Théâtre de Gèneve debut in the same role. He returned to Florida Grand Opera as Nilkanatha in “Lakme”, the Michigan Opera Theatre as Dulcamara in “L’Elisir d’amore” and Palermo for “I Puritani”. He opened the 2009-2010 season with his San Francisco Opera debut as Ferrando in “Il Trovatore”, returned to the Grand Théâtre de Gèneve as Leporello in “Don Giovanni”, the Michigan Opera Theatre as Zaccaria in “Nabucco” and Leporello in “Don Giovanni”, and made his L’Opéra de Montréal debut as Fiesco in “Simon Boccangra”. He finished the season in Cagliari as Giorgio in “I Puritani”. Some highlights for 2010 include: “Leporello” in Michigan, “Simon Boccanegra” in Montreal, “Puritani” in Cagliari, Verdi’s “Requiem” with the Atlanta Symphony, “Raimondo” in Vancouver and his Bayerische Staatsoper debut as Don Basilio was in 2010-11. Bilgili has received numerous awards including first prizes in the International Hans Gabor Belvedere Singing Competition 2002 in Vienna, the International Alfredo Kraus Competition 2002 in Las Palmas, the Neue Stimmen International Opera Competition in 2001, the Mario Lanza Opera Competition, and the J. Parkinson Italian Opera Competition. He was also a winner of the Loren Zachary Opera Competition, the Licia Albanese-Puccini Foundation International Voice Competition, and was First Place winner in both the Giargiari Bel Canto Voice Competition and 1998 Siemens Opera Competition in Turkey. Currently, Bilgili continues performing in leading opera houses in the United States and Europe.